Most visitors miss the its historical depths and the many beautiful art works around it. We’ll explore them here. 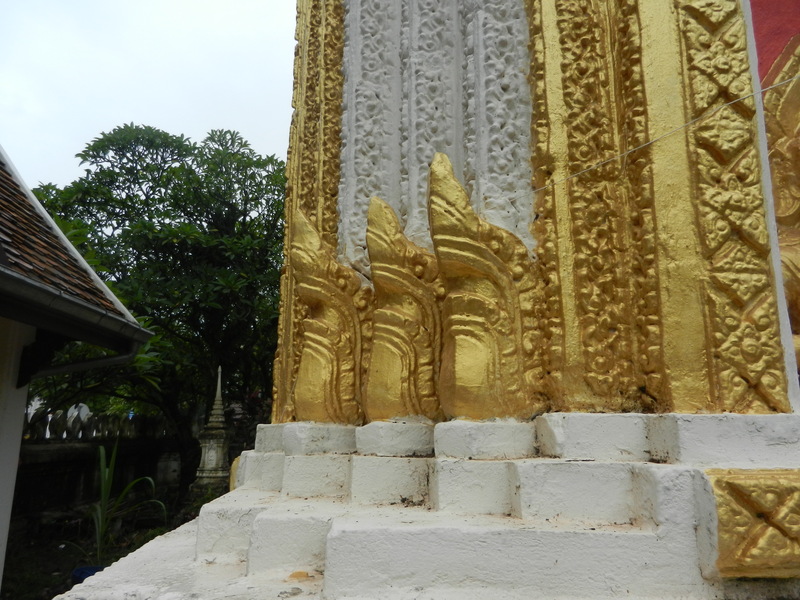 Part One on Wat That Luang explained that Lan Xang kings moved their capital from Luang Prabang to Vientiane in the 16th century when Burmese forces were rampaging through Siam. 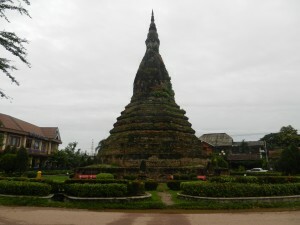 King Setthathirat began to build this grand monument to fortify his new capital by connecting it with nature’s main powers and the Buddha’s compassion–and by making a political statement about Vientiane’s legitimacy. But things went badly at first. 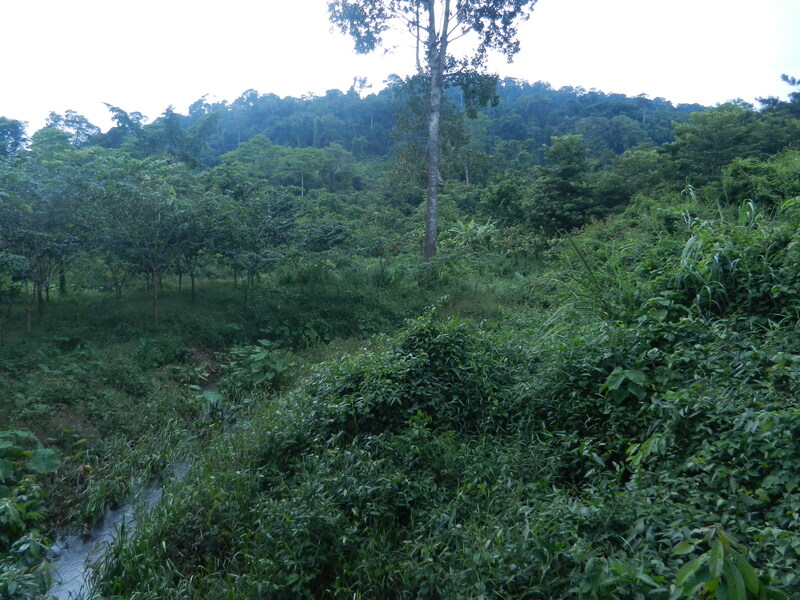 In 1571 Setthathirat disappeared in mountains in the south, on his way back from an expedition to Cambodia (Angkor’s uplands are in the above photo–an easy area for ambushes or falls into ravines). Lan Xang lacked a strong king for the next 60 years, and the Burmese took it over for a while. 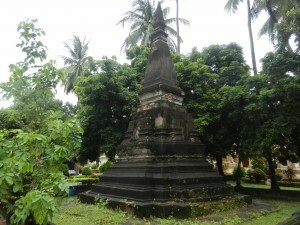 But King Sulinya Vongse took the throne in 1637 and ruled until 1694. Many historians consider this Laos’s glory period. Burmese and Thai forces had bashed each other enough to need a breather. So Laos’s two western neighbors concentrated on their own domains, and it enjoyed a peaceful period. Sulinya Vongse was able to build many temples and commission art in his capital. Vientiane became known as a hub of Buddhist learning, and it attracted students from Cambodia, Thailand, and Burma. Western travelers were impressed by what they saw. We can only imagine–Thais destroyed almost everything in Vientiane down to the last brick in the 1820s–That Dam (pictured above) is one of the few constructions in Vientiane that predate the invasion. Its form is graceful, but it seems like a matchstick when compared with what writers described. In 1640 an Italian Jesuit named Giovanni-Maria Leria wrote that Sulinya Vongse’s palace was so big that people could think it was a town. An enormous number of courtiers and servants lived within its symmetrical enclosure. A magnificent gateway fronted the king’s apartment, which consisted of a great hall and many splendid rooms. They interiors and exteriors were covered with gilded reliefs. Sulinya Vongse’s home rivaled the older Khmer royal palace at Angkor. We can only wonder about most of Vientiane’s grandest monuments, but it was also full of little enchantments. Small shrines, Buddha statues, and ordinary wats (monasteries not built by the king) bejeweled the city. They blended different cultures’ forms. 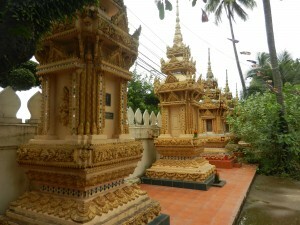 The shrine in the above photo has a lot of Khmer influence, and the ones in the shot above it are crowned with Burmese-style gables. This stupa is Laotian style. So is this Buddha. Its broad forehead was probably influenced by statues from the Thai city Lopburi. But the combination of the long ears, big nose, small mouth and wide fleshy crown on the head is Laotian. Like many Laotian Buddhas, it has a quirkiness that makes it look more like folk art–and like someone that ordinary people can relate to. Many people dream about exploring ancient Angkor and Pagan, but Vientiane was a great site in its own right. Sadly, its glory didn’t last. Its strength was also a weakness. 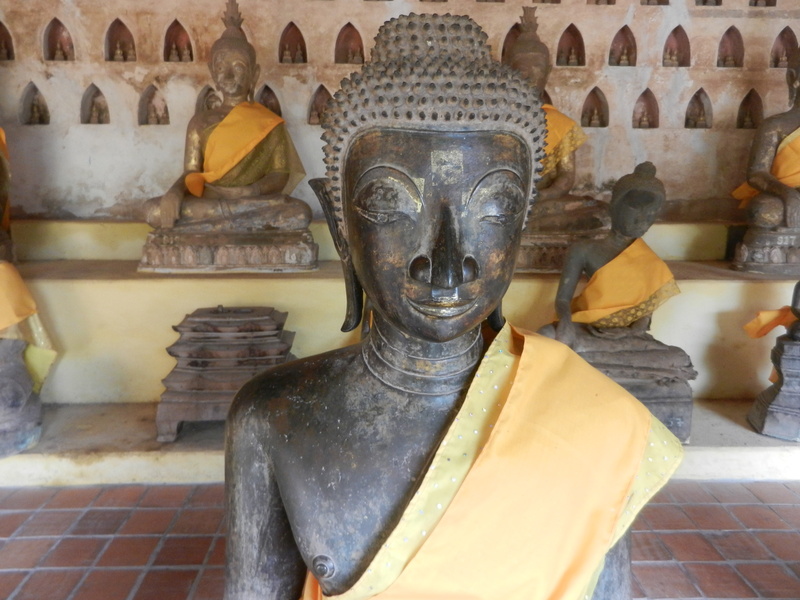 Laos was landlocked and thus sheltered enough from international competition to focus on Buddhist studies and beautiful art. But it was also distant from international trade, and Vietnam and the Thai state Ayutthaya outgrew it. 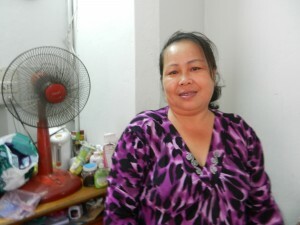 Laos needed a strong leader but was plagued with succession crises after Sulinya Vongse’s death. Siamese armies invaded and occupied Vientiane and Luang Prabang in the late 18th century. They destroyed Vientiane so thoroughly when Anuvong spearheaded a rebellion in the 1820s that people there were still living in tents 40 years later. Wat That Luang was destroyed and left in ruins until the French restored it in the 1930s. 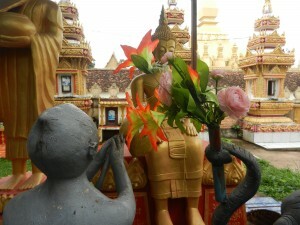 But Vientiane is still well worth exploring. Its reconstructed wats, preserved Buddha statues and warmhearted people gave me enough echoes of the good old days to make me wish I could have stayed longer. I hope their days keep getting better. centuries. As Madame Saveros Pou has stressed, the Reamker is not just an echo of the Indian epic but a total reworking of it so as to express a fervently Theravada Buddhist content. You’re right about the Theravada reworking in the Reamker, but it still is full of characters and tales from the older Indian epic. Southeast Asian versions of the Ramayana blend both traditions. Singaravelu Sachithanantham details this in “The Ramayana Tradition in Southeast Asia. Thanks for your comment.